"CELINUNUNU liberates children from the traditional roles of boy/girl, and enables younger people to grow on values of equality with the freedom strengthen their own power of personality based on mutual respect," the brand states on its website. 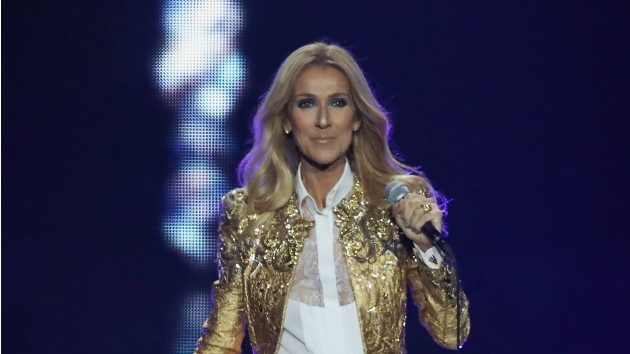 (NEW YORK) — Celine Dion is working on something so good it might be … illegal? The singer on Tuesday teased a “grand unveiling” of her latest endeavor by posting a clip of herself being taken to the ground and handcuffed by police officers. “It’s OK, it’s OK. I’m Celine Dion,” she says with a smile. The name Célinununu then flashes on the screen, along with a website that reveals her new project: a line of gender-neutral children’s clothes. The website features a collection that includes a leather jacket, a skull sweatshirt, leggings, slippers and more. “CELINUNUNU liberates children from the traditional roles of boy/girl, and enables younger people to grow on values of equality with the freedom strengthen their own power of personality based on mutual respect,” the brand states on its website. As for how Dion’s “arrest” video relates to the brand, that remains to be seen. The iconic singer previously launched a lifestyle brand, the Celine Dion Collection, at Nordstrom last year, featuring handbags, luggage and other accessories. Dion seems to be exploring new avenues as she prepares to end her long-running Las Vegas residency next year. She’ll say “au revoir” to the show on June 8, 2019.